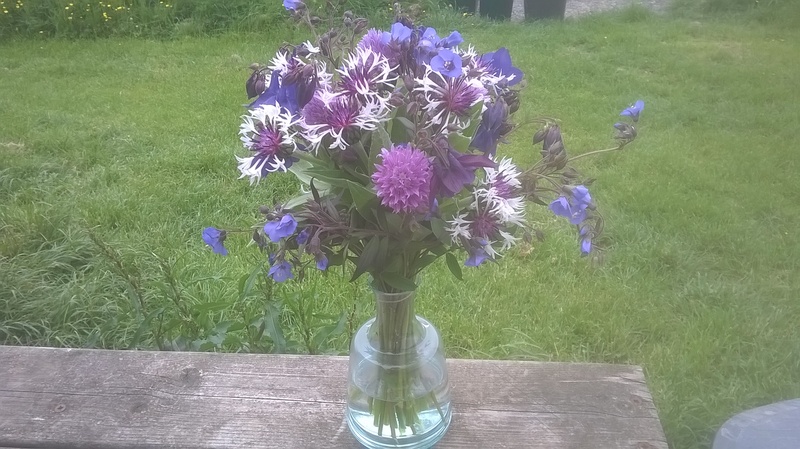 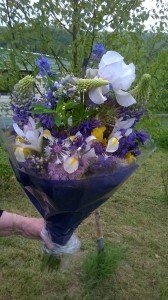 We provide affordable, in season bunches of locally grown cut flowers, from the heart of Mid Wales. 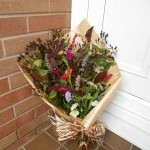 Our flowers are available in the local shops or to order. 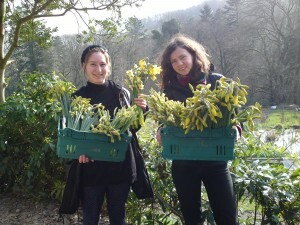 We harvest daffodils from the week before Christmas, right through the harshest of winter weather, until the end of April. 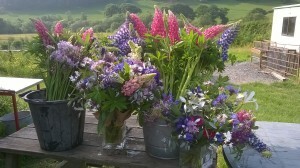 All grown outside in Mid Wales. 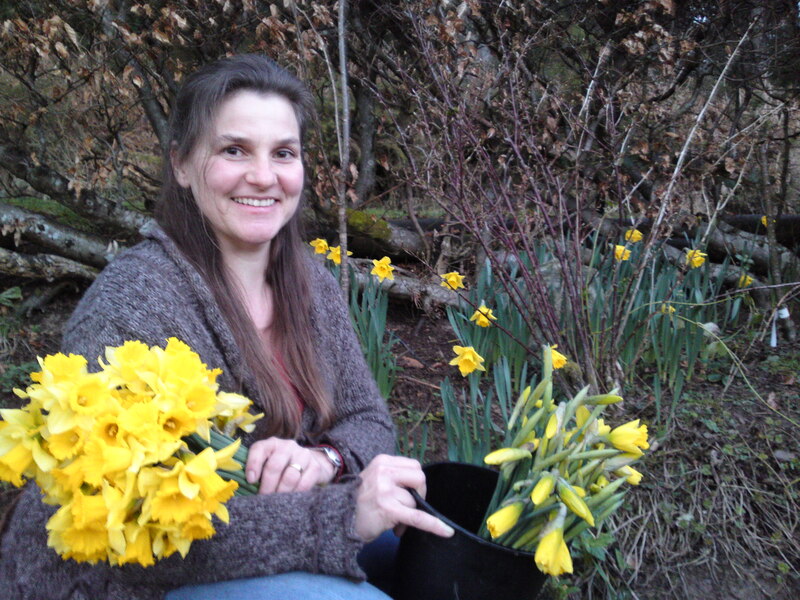 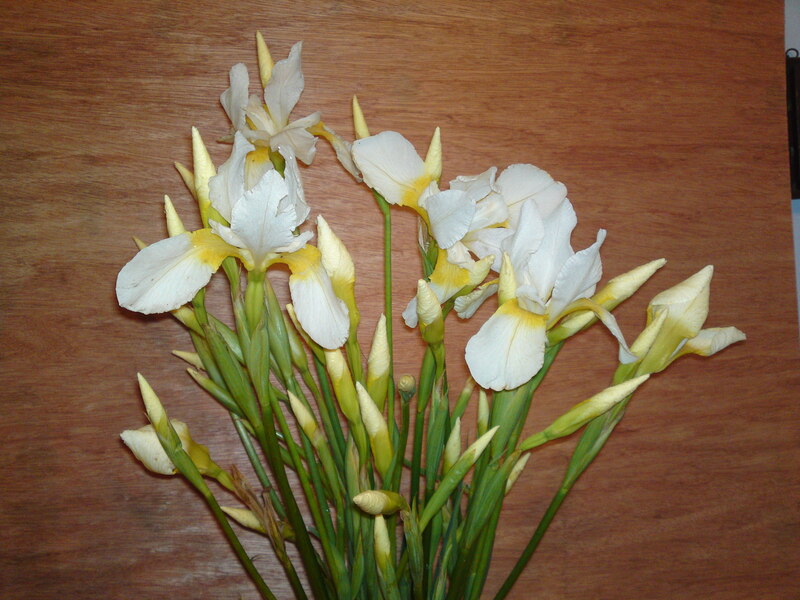 We have a range of varieties from common yellow daffs to scented narcissus as cut flowers, and we also sell dwarf and scented bulbs in pots, including our Welsh native Tenby daffodil. 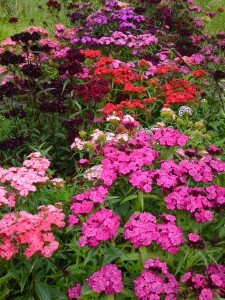 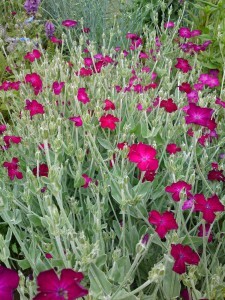 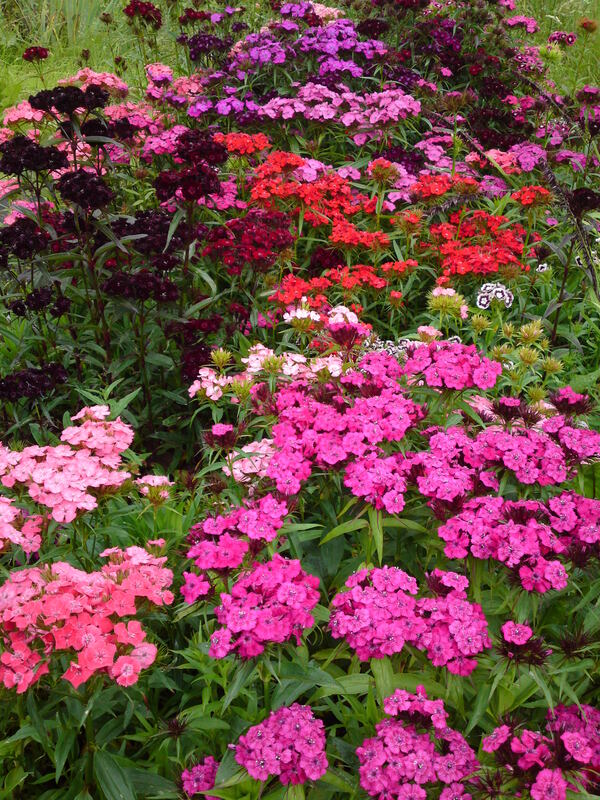 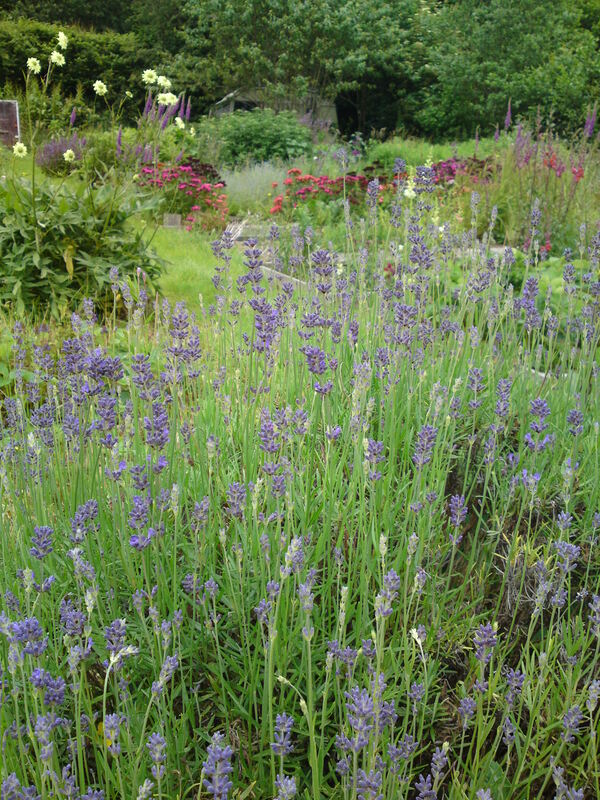 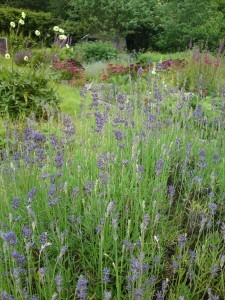 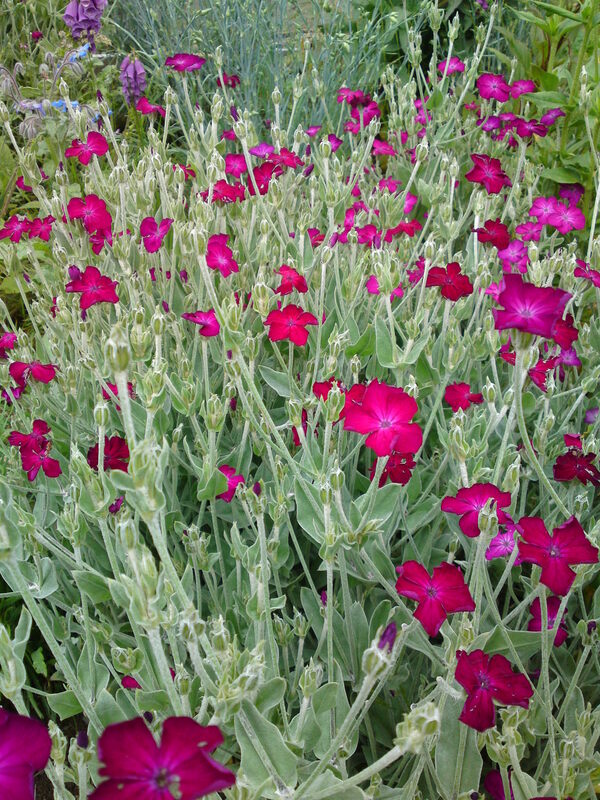 We grow a wide range of annual and perennial flowers for cutting throughout the year. 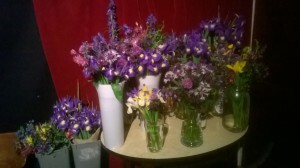 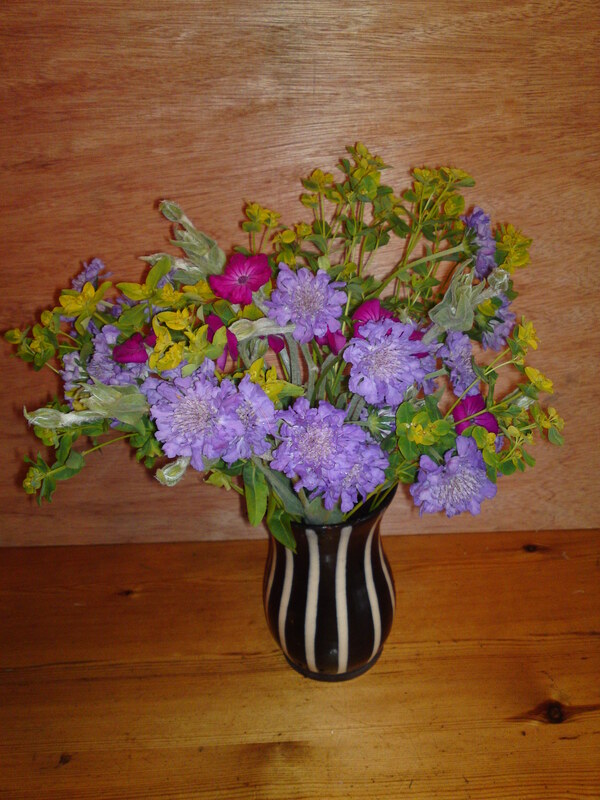 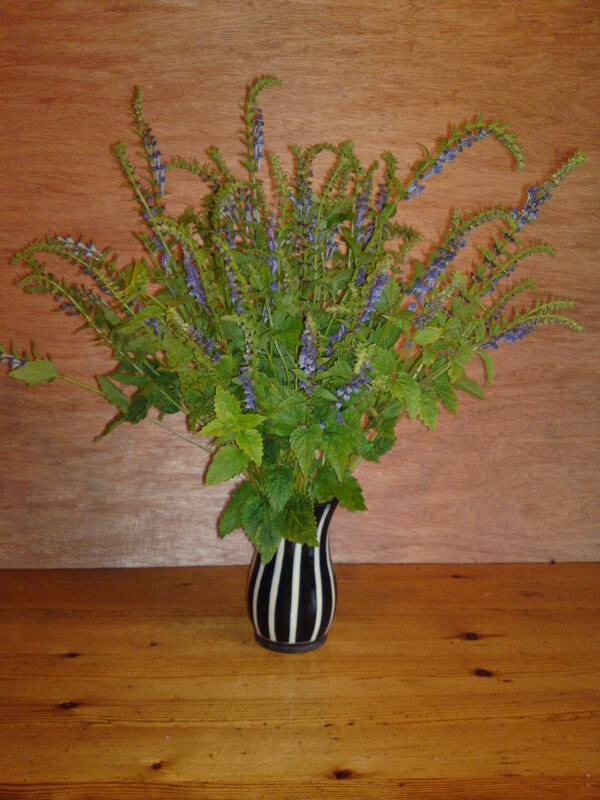 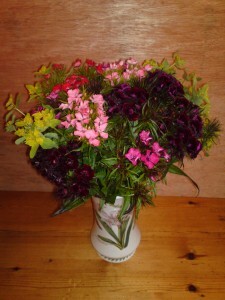 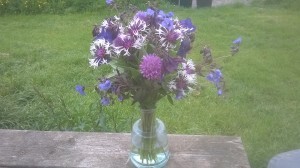 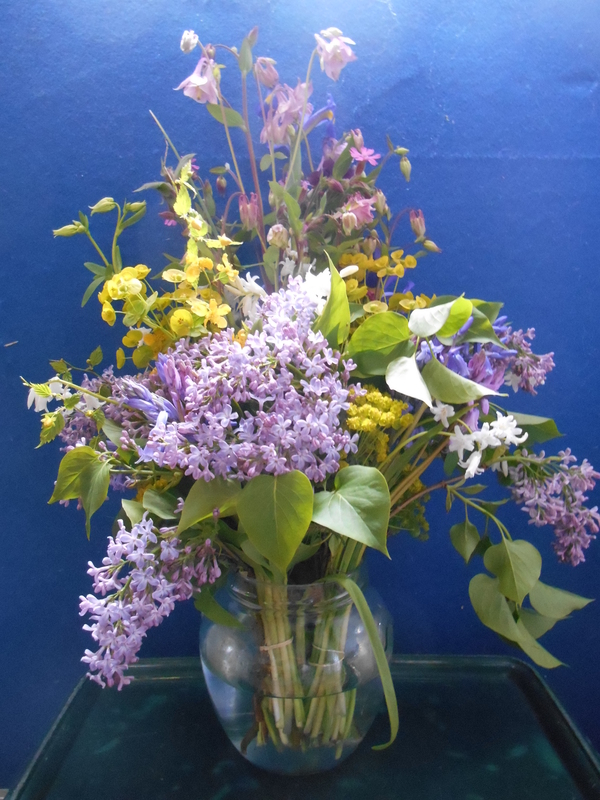 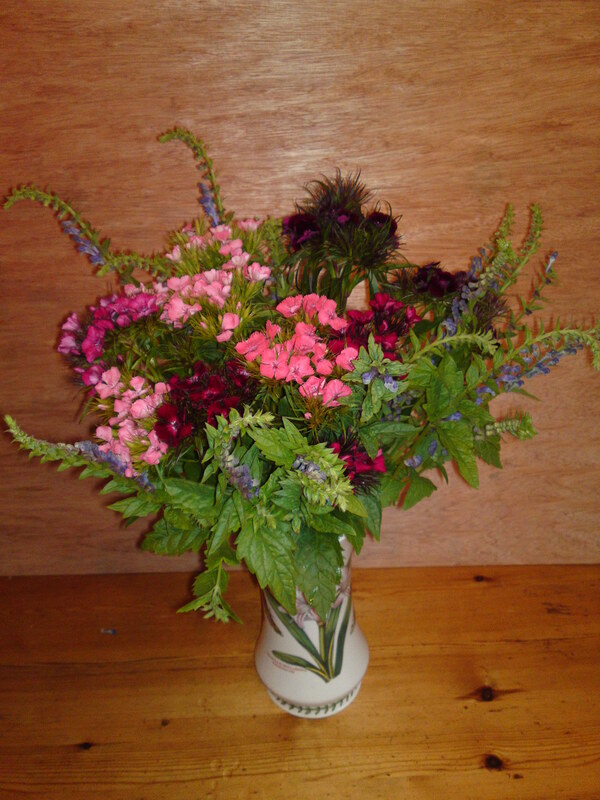 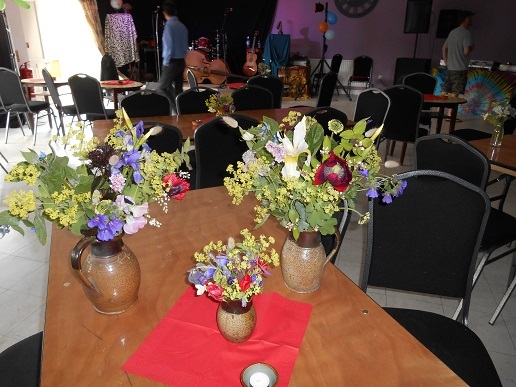 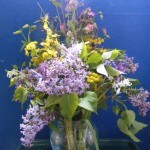 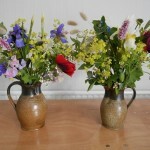 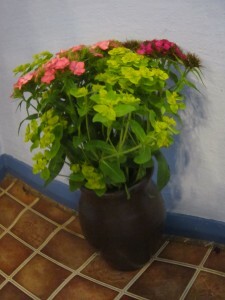 I also harvest a range of native flowers from my land, for those of you wanting a wild flower arrangement. 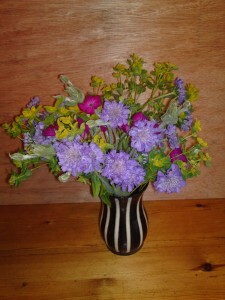 These native flowers are generally short lived, so I do not put these in the shops unless requested. 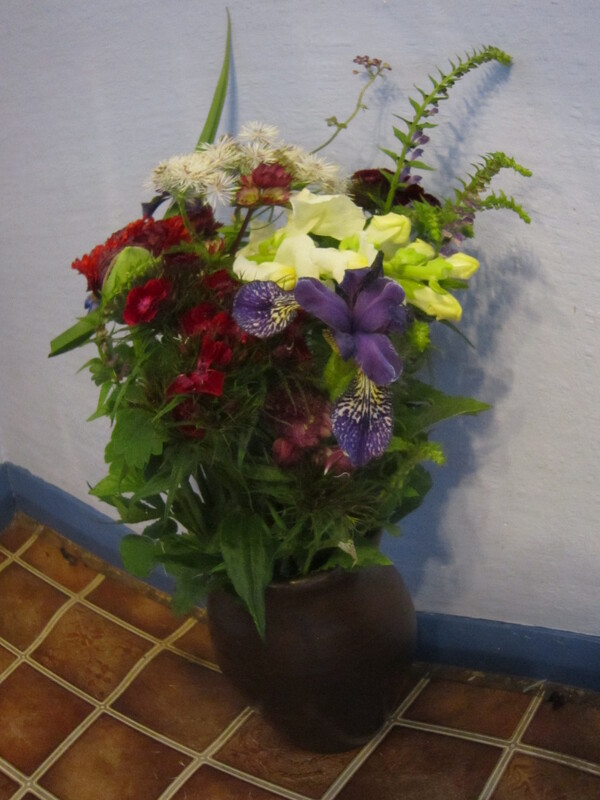 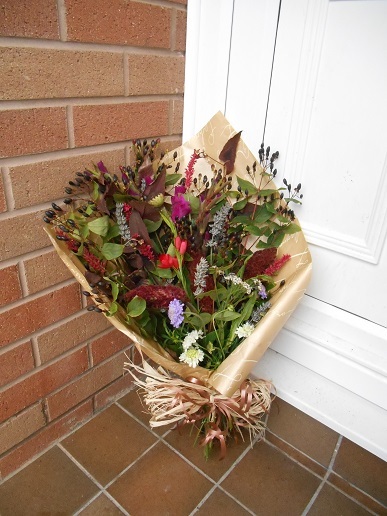 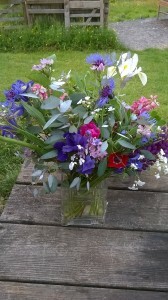 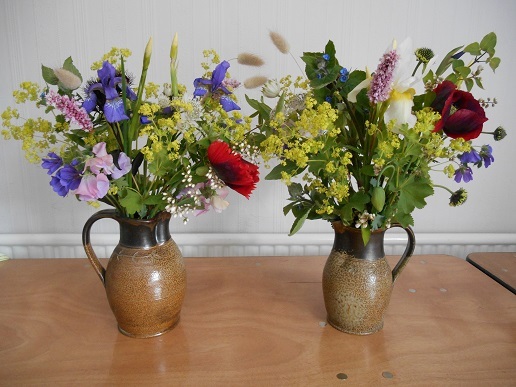 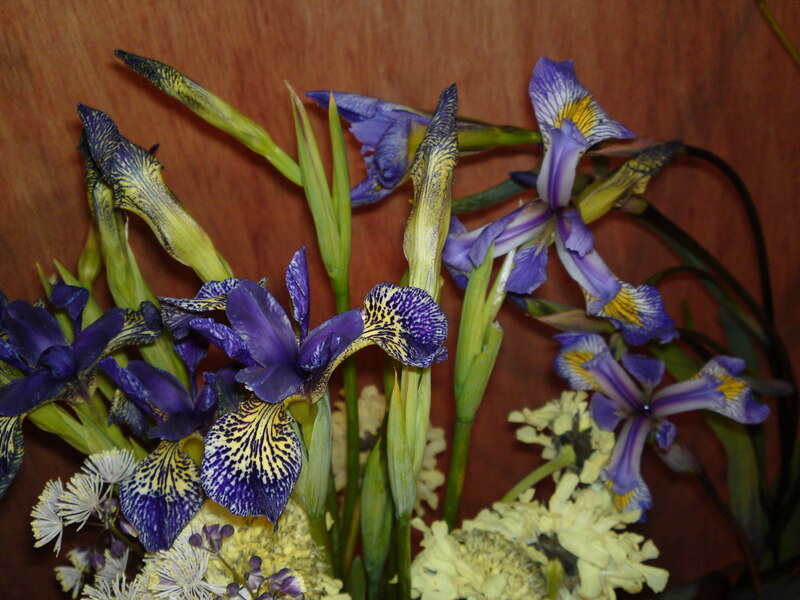 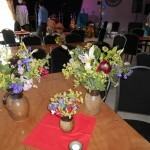 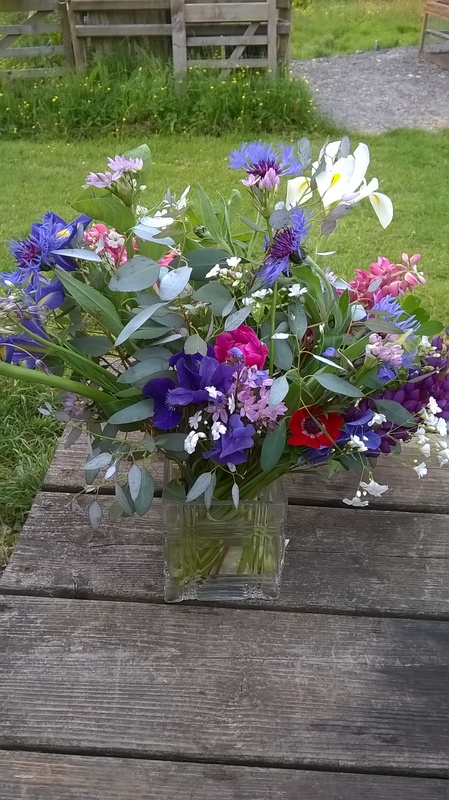 We can sell flowers by the stem, as single species bunches or mixed arranged bunches.